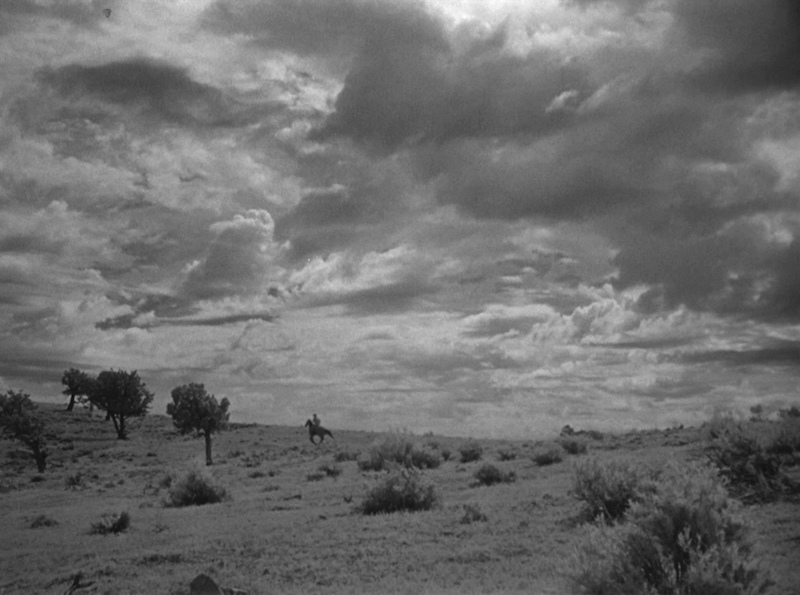 Cinematographers | 50 Westerns From The 50s. If there’s any cinematographer whose work deserves the red carpet treatment on DVD, it’s John Alton. Alton was a master. He worked fast — coming to the set fully prepared and not using a lot of lights. And while “painting with light” was his thing, evidently diplomacy was not. He was fired a lot, until he finally got fed up with the whole business and vanished. Along the way, he went from pictures like An American In Paris (1951), his first color film — and the one that earned him an Oscar, to film noir with Anthony Mann (T-Men, Border Incident, etc.) to cowboy pictures at Republic (Wyoming). 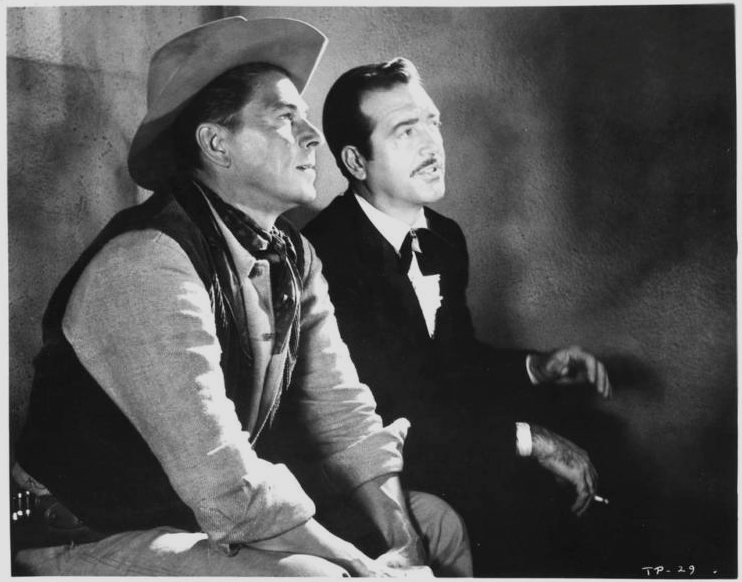 In 1954, Alton found himself at RKO, working with director Allan Dwan on a series of medium-budget films produced by Benedict Bogeaus. These pictures gave Dwan a level of authority (or maybe he simply took charge of things) he hadn’t enjoyed since the silent days. However it came about, he really made the most of it. From 1954 to 1956, Dwan and Alton made seven pictures together, all produced by Bogeaus for RKO. 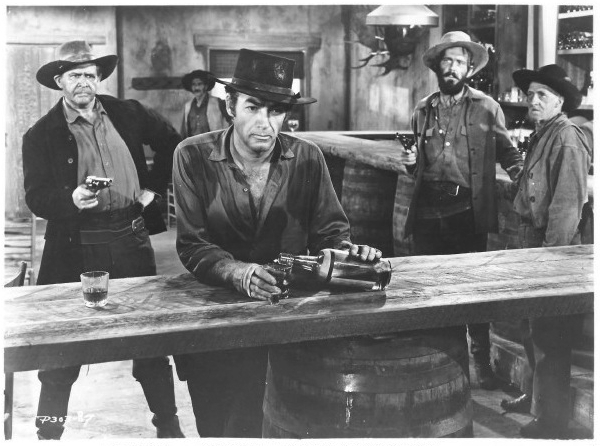 John Payne is Tennessee, a gambler who’s set up shop in Rhonda Fleming’s saloon — the Marriage Market in Sandy Bar. Ronald Reagan is Cowpoke, who saves Tennessee’s life. Tennessee later proves that Cowpoke’s fiancé, Colleen Gray, is a gold-digger (named, appropriately, Goldie). Speaking of gold, there’s a subplot involving Grubstake McNiven (Chubby Johnson) striking it rich. To stretch it, they seemed to have played up the humor and action. Dwan’s breezy direction and John Alton’s luscious cinematography make this a real piece of eye candy — aided by the art direction of Van Nest Polglase (Citizen Kane). The way the camera glides through Rhonda Fleming’s gambling hall is worth the price of admission. Then there’s its Technicolor tour of the Iverson Ranch in the last two reels. It’s a gorgeous, yet completely unpretentious, story of friendship and double-crosses. 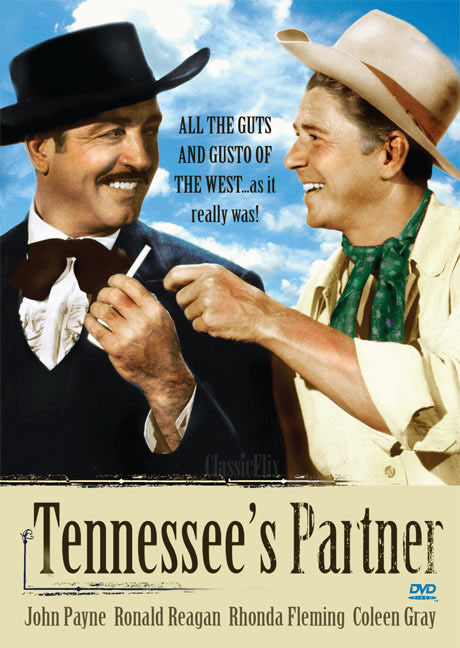 Tennessee’s Partner has been available on DVD, in a nice full-frame transfer, from VCI for years. Superscope extracted a 2:1 anamorphic image from a full-frame negative — which is what the new edition, again from VCI, replicates. (The lack of a Superscope logo in the credits indicates that full-frame source material was used.) As far as color and sharpness go, this is comparable to their first release. But with the new attention to the framing, Alton’s camerawork is even more impressive. He’s quoted somewhere as saying “It’s not what you light — it’s what you don’t light.” And the 2:1 image, especially in the gambling scenes, really highlights the way he used darkness. VCI gives us original trailers to Tennessee’s Partner and the other Dwan/Alton/Bogeaus titles they have available. Seen together, they really had me wanting to put together a marathon some weekend. With a new edition of any film, in any format, there’s always the question of value. Is this worth reaching into my wallet for, again? 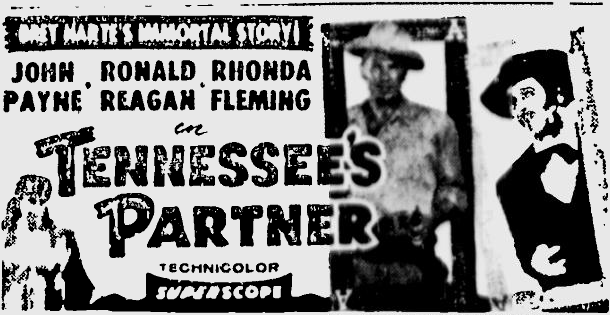 In my case, certainly, as I’ve been dying to see how Tennessee’s Partner looked in Superscope. For those who own the full-frame version, it’s a matter of personal taste. 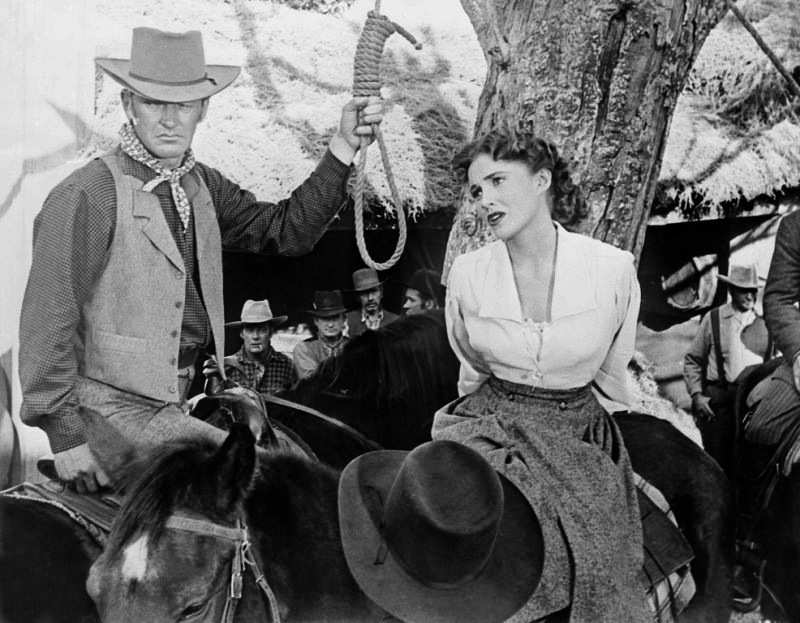 For the rest, it’s a good picture — a significant 50s Western — and this is by far the best it’s ever been presented on video. Get it here. Watching Jack Slade (1953) — an unjustly obscure, and quite nasty, Allied Artists picture starring Mark Stevens, Dorothy Malone and Barton MacLane — I noticed cinematographer William Sickner in the credits (“photographed by” it reads). His name pops up a lot — the IMDB lists over 350 film and TV credits. And his filmography provides a cross section of genre film making in the 30s, 40s and 50s. Serials such as The Phantom Creeps (1939), Flash Gordon Conquers The Universe (1940) and The Green Hornet (1940). 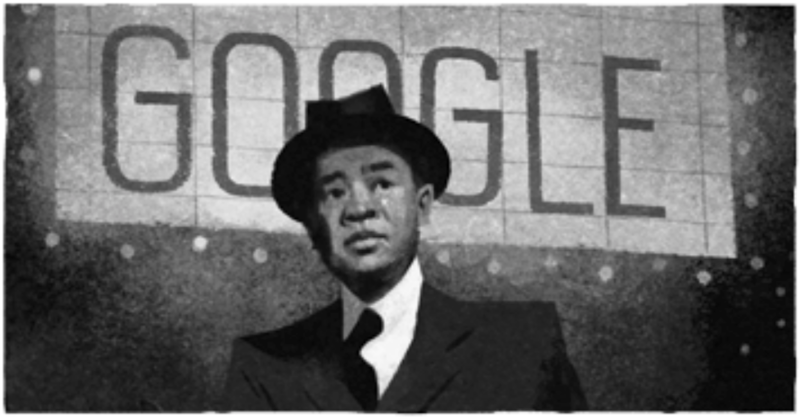 Series pictures like The Mummy’s Ghost (1944) and The Falcon In San Francisco (1945), along with entries in the Charlie Chan, The Shadow, Joe Palooka and Bowery Boys cycles. 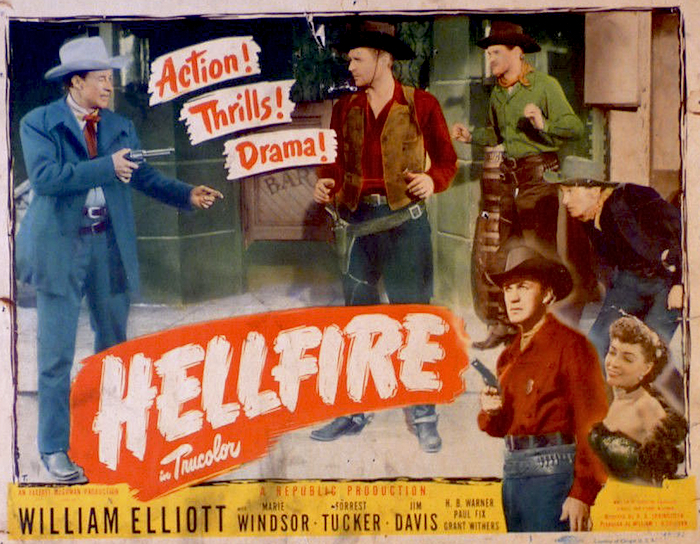 And, of course, B Westerns with Buck Jones, Tex Ritter, Johnny Mack Brown, Dennis Moore, Rod Cameron and George Montgomery, to name just a few. Moving to television, Sickner shot episodes of Alfred Hitchcock Presents, The Restless Gun, Mike Hammer, M Squad, Medic (he won an Emmy for this one), Bachelor Father, The Deputy, Leave It To Beaver and more. 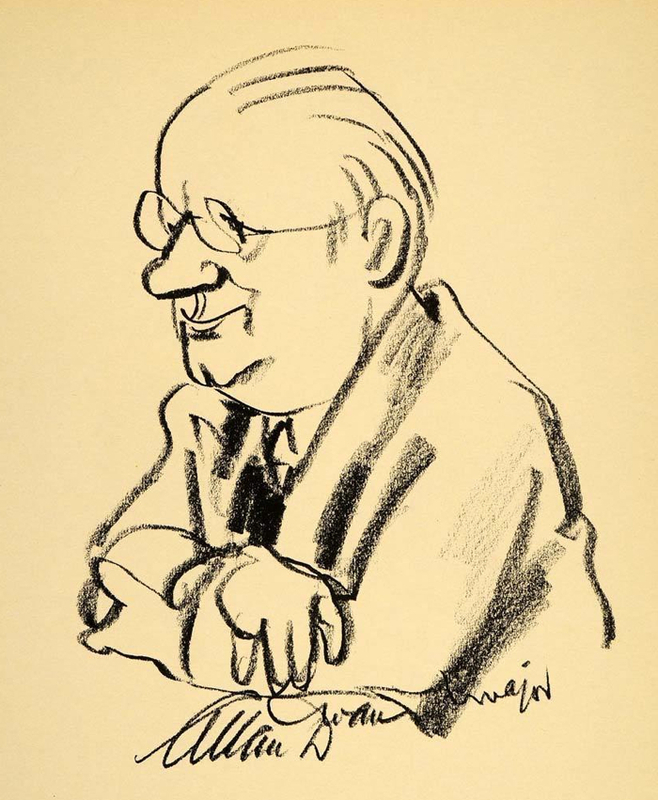 A craftsman who could adjust to whatever he was working on — from the Mummy to the Cleavers (though his darker, moodier work looks more impressive today) — Sickner passed away in 1968, long before anyone cared enough about this sort of stuff to think to interview him. What a shame.